This post includes affiliate links, read here how these work. The latest HOT declutter trend! That’s what! And there’s a new book out all about it. I’ll explain how it works practically in a moment. BUT first, why it is SO important. And HOW it can help big time, if you – and your family! – are DROWNING in clutter. You see the thing is, we are ALL facing a crazy epidemic of clutter! It is literally a disease that is causing misery in households across the world. Seriously hurting our families’ mental health. And the underlying problem – we need to get our head round – is our clutter instinct. As humans we instinctively like stuff. ALL the pretty, shiny, useful stuff we dream up and make with our clever hands. And from when we’re tiny, we grab at it. Partly because it’s pretty. But partly because we’re anxious. And it comforts us. Sort of. We think. NOW on top of these instincts, we have two more. Hoarding. AND being sh*t scared of death. Back in the day, hoarding was useful. It got us through bad winters. And famine. And fear of death is pretty essential for survival isn’t it? HOWEVER, they both increase our natural tendency to grab at and cling to stuff. Confronting the fact we’re going to die is pretty tough. We cling to things to try and fend it off. And throughout history we humans have got ourselves into a right old mess with clutter. The Egyptians even tried to take their stuff into the next life with them! And terrible tales of hoarders and their hoards are littered through our stories and myths. BUT mostly, most of us, most of the time kept the clutter thing under control. … and hoarding became a more and more common problem. You see 200 years ago, us clever humans invented machines. Machines that could create clutter at a volume NEVER seen before. In the whole of history. Before this, most of us were too darn poor to own much at all. Suddenly, even quite ordinary people could indulge themselves with pretty things. And pretty soon THAT was a problem. Charles Dickens books are full of characters who can’t stop collecting clutter. For some of them, it’s like a disease. An addiction. Dickens’ own father ended up in prison because he kept on and on buying beautiful dinner services he couldn’t afford! That’s a pretty crazy clutter problem, huh? BUT what would Dickens have made of our lives? Because these days crazy clutter hoarding has become an epidemic. We are ALL suffering from it! Today’s machines BOMBARD us relentlessly with clutter. At cheaper and cheaper prices. Clothes. Toys. Gadgets. Furniture. Food. Entertainment. More AND more AND more of it. More than we could ever have space for. More than we could ever have time to enjoy. BUT it is so hard for us to resist. Because we are human and we like stuff. And once that stuff has INVADED our homes. It is so HARD to let it go. Because we are wired to cling onto things. And to hoard. And to be scared of dying. Because ALL this clutter is actually making us sick. Millions of ordinary families are now struggling with the mental pain of clutter. It is a major source of family conflict. AND it causes acute stress, anxiety and depression. Both in itself by taking over our homes. And BECAUSE it is so hard to get rid of. The emails I receive in response to my declutter support newsletter are heartbreaking. So many families out there are struggling. Because lots of us ARE now dealing with a DOUBLE WHAMMY of stress. From the dreaded DEATH DECLUTTER! It’s NO LONGER just our clutter we’re dealing with. As the baby boomers hit their seventies, it’s our PARENTS’ clutter. And our random relatives with no kids clutter. Or because they’ve died. Leaving ALL their clutter behind. And if decluttering our own things is hard. The dreaded DEATH DECLUTTER is even worse. At a time when we’re already struggling with grief. We have to handle letting go of all the belongings of someone we’ve lost. In The Gentle Art of Swedish Death Cleaning Margareta Magnusson shares a Swedish tradition that makes sure our families don’t get left with the burden of a death declutter. The basic approach is very simple. As we get older we need to take responsibility for editing our stuff. So that the things we leave behind are actually those that will help our loved ones with their grief. Rather than burden them with more belongings they can’t enjoy. It all sounds a bit morbid. BUT as Magnusson describes, it’s actually quite a joyful process. Letting stuff go bit by bit as we get older lets us revisit our past. But lay it to rest. And experience the calm that comes from letting go. We all accumulate so much emotional baggage over the years. And death cleaning let’s us lighten that burden. And super powerfully helps us accept our mortality. Rather than hide from it in a hoard of stuff, in which we lose our selves. Now all that makes Swedish Death Cleaning sound like a book for old people. But it can help ALL of us. The Gentle Art of Swedish Death Cleaning can be a helpful way to start a conversation with parents about their stuff. So that it doesn’t feel like a personal attack. And can be accepted as a common problem most families now face. BUT it also provides a helpful way of living for ALL of us. For over a year now, I’ve been letting stuff go little by little, day by day, week by week. And I can tell you the relief is amazing! I no longer feel weighed down by the burden of so much clutter. I’m less stressed. Less anxious. And much happier. I feel like I’ve actually got space in my home to live again! BUT – I’m sure you’re desperate to know – how do you actually do Swedish death cleaning? Well, in practice Magnusson’s tips on how to let stuff go are pretty similar to those of Marie Kondo. Basically, yank loads of stuff out. And keep the things that will spark joy for those left behind. And that works for some of us. IF we’ve not got much clutter. BUT for some of us – overwhelmed with rooms AND rooms AND garages AND paid storage full of boxes – it doesn’t! It actually overwhelms us more. SO my recommendation is use Swedish Death Cleaning to get the family talking about clutter. And why it’s a common problem for so many families. And how to tackle it together. Magnusson can be very funny about it. AND if the book does nothing else but get the whole family on board, it’s massive! Treat yourself to little experiences every day that make you feel better – there’s loads of ideas here. Because the better you feel about yourself, the easier it is to let stuff go. Let go of a little every day for 2 weeks – spend just 5 minutes daily letting a few things go – read how here – so it becomes a habit. Tackle one small project a week for 10 weeks – work through these easy quick projects. 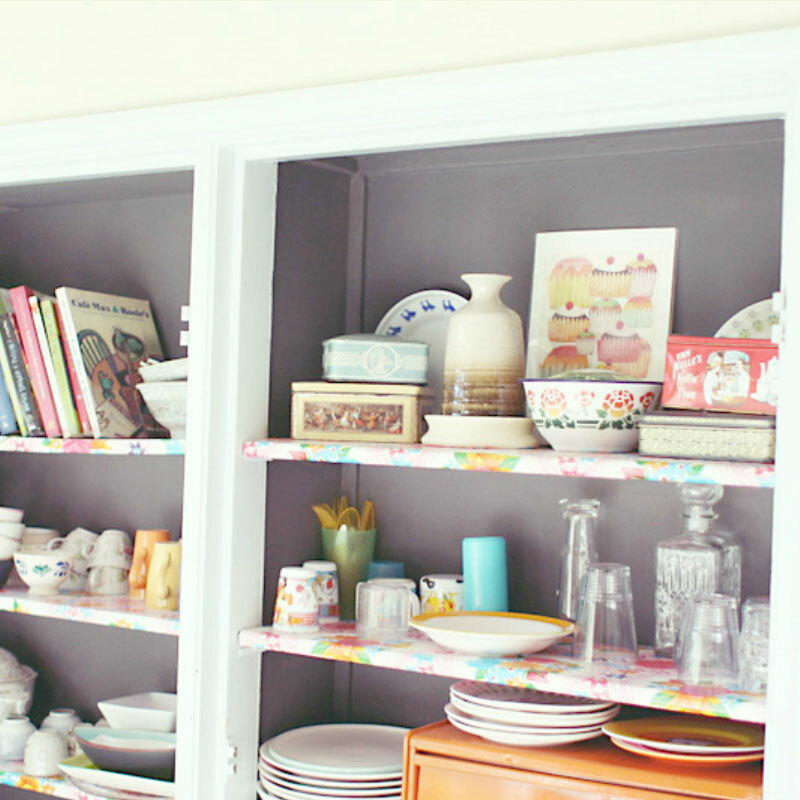 This approach will give you the momentum and confidence to tackle harder clutter. I really hope this helps to get your whole family decluttering.